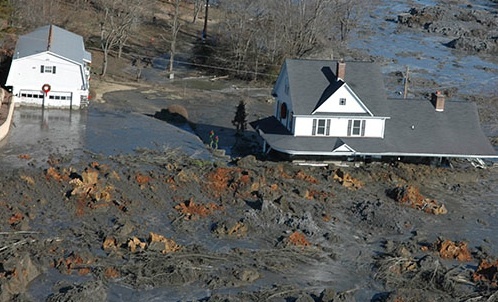 June 4, 2013 by Ken Ward Jr.
Coal ash is widely reused in construction products such as cement, concrete, wallboard, and roofing materials. This bill will preserve this beneficial reuse and help keep electricity costs low for American businesses and families. It provides a workable alternative to EPA’s 2010 proposal to regulate coal ash as a hazardous waste, which put hundreds of thousands of jobs in jeopardy and threatened to drive up electricity and construction costs. The Coal Residuals Reuse and Management Act retains the same guiding principles from McKinley’s previous legislation, H.R. 2273, which passed the House in 2011 by a bipartisan vote of 267 to 144. The legislation protects both the environment and jobs by setting enforceable federal standards while allowing states to craft a permit program that works best for the state. The legislation also contains many improvements that were contained in S.3512, including requirements for groundwater monitoring at all structures that receive coal ash after enactment and corrective action for unlined, leaking impoundments within a specified time period. The new legislation makes additional clarifications and key improvements such as setting deadlines for issuing permits, creating an interim compliance period for many of the requirements, and identifying criteria to assess whether a state permit program is meeting the minimum requirements. The legislation also includes new provisions to ensure structural stability, including a consultation with state dam safety officials, a periodic evaluation to identify structural weakness and potentially hazardous conditions, and the creation of an emergency action plan for high hazard structures. Late last night, Congressman David McKinley introduced bad legislation (H.R. 2218, the Coal Residuals Reuse and Management Act) designed to subvert the EPA’s ability to set federally enforceable safeguards for coal ash pollution. Despite having one of the nation’s largest coal ash impoundments in his district—which has contaminated nearby groundwater and streams with arsenic, lead and other toxic metals—Congressman McKinley persists in his misguided mission to allow power companies to continue dumping toxic coal ash into unlined and unmonitored landfills and ponds. The bill remains dramatically inadequate to protect human health and the environment. While HR 2218 contains some superficial changes, its critical underlying deficiencies have not been cured. The bill still contains no protective standard to ensure public health is protected by state programs nationwide, leaking coal ash dumps still have no real-world requirement to close in a timely manner, the regulated universe remains completely undefined, structural stability standards are inadequate, and legacy dump sites are still completely unaddressed. These are huge and dangerous gaps in public protection. There is window dressing, but the house is still burning.